Air and Sea Stories is pleased to welcome S.K. Keogh, author of a series of swashbuckling but nuanced nautical adventures. 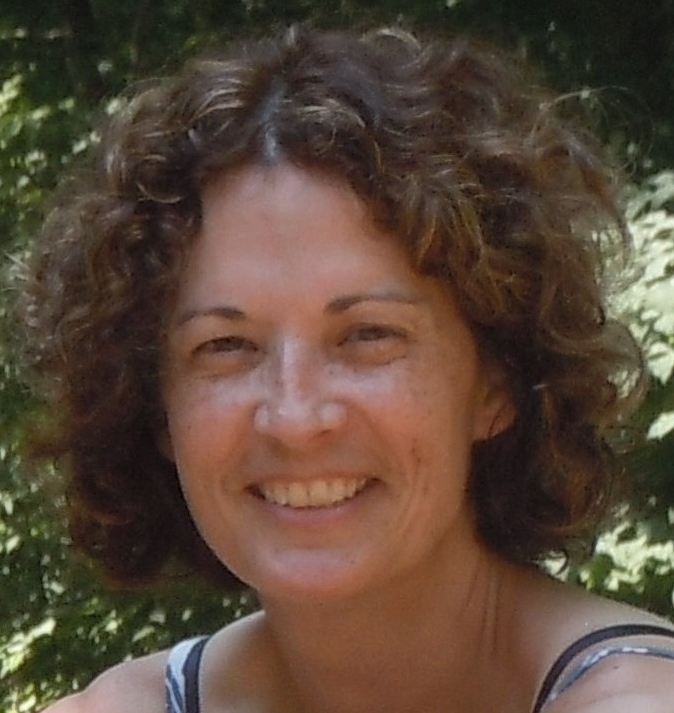 I’m delighted to interview Susan on the relaunch of the first in the series, The Prodigal. Welcome Susan. The first question I’d like to ask is where your affinity with the sea comes from? What made you first want to tell stories of the sea and the age of sail in particular? No eye-rolling here – the first Pirates film in particular was a wonderful romp, with some great at-sea action. 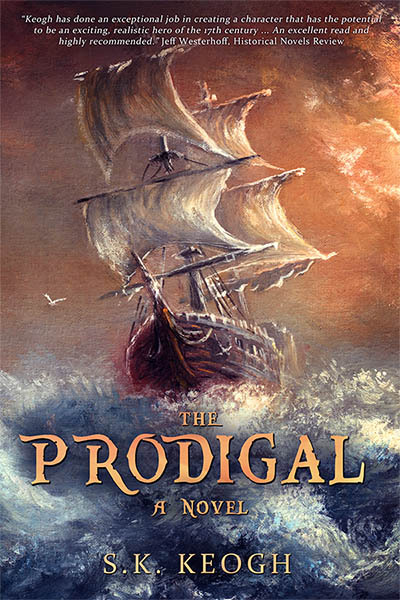 Now, the Prodigal is a fine nautical adventure in the tradition of Treasure Island and Moonfleet. Were you influenced by any earlier ‘coming of age’ tales set at sea in the age of sail? Why do you think stories about youths thrown into contact with pirates or smugglers continue to have such enduring appeal? I think we all wish we could write like O’Brian! The Prodigal features a woman who disguises herself as a man to sail on a pirate vessel. Were you influenced by true stories of women sailing incognito aboard warships and other vessels? Were there any particular historical women who were a model for Maria’s story? The colonial period of American history is richly portrayed in the Jack Mallory books. What is it that draws you to this period in particular, and how did you go about creating a living, breathing portrait of colonial life on the page? “Many Age of Sail books take place in the 18th century or early 19th century, so I didn’t want to churn out more of the same. Also, one of the early settings in the story is a town historically known as a pirate haunt—Cayona on the island of Tortuga. I wanted to use that location, which meant setting The Prodigal in the 17th century when Cayona was still being visited by pirates looking for a safe-haven to refit and relax. Around the start of my story, the town is dying a slow death. 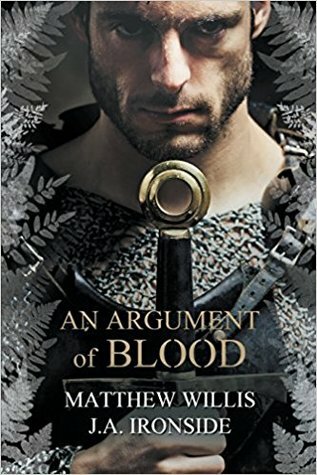 “I needed a reason to have Jack Mallory traveling the Atlantic at the start of the story, and that reason was the same reason that so many people came to America during that time period: they were looking for work and/or religious freedoms that they did not have in their home countries. Most of these people were too poor to pay for passage from England and other countries, so their only option was to indenture themselves to rich plantation owners in places like Virginia or Carolina. Jack Mallory’s story continues with two more books after The Prodigal. Is this a trilogy, or can we hope for more books in the series in the future? I see you have taken part in some Civil War re-enactments. Can we expect to see some Civil War fiction from you in the future? What’s next for your writing career? You can purchase The Prodigal or read a free sample at Amazon.com.